I would love to say that a camera shoot safari in Africa inspired this painting, but it was just another rainy day in Seattle when I conjured it up on a fairly large canvas. I love rainy days. I love Seattle. I love horses. I love zebras. I love blues and greens. 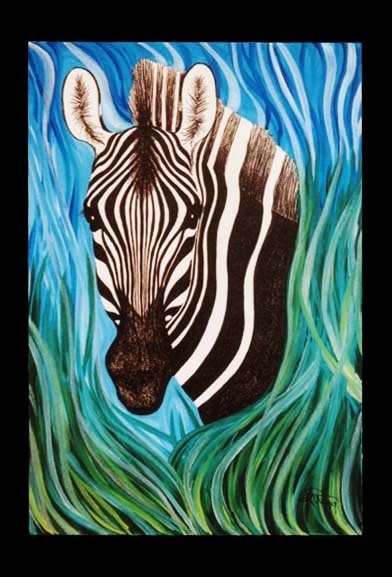 Does the grass around the zebra turn into streaks of rain? Perhaps. Is the color a little wild? Maybe. Is this zebra a free spirit? Definitely.